Hi Friends, this one will be a shorty. 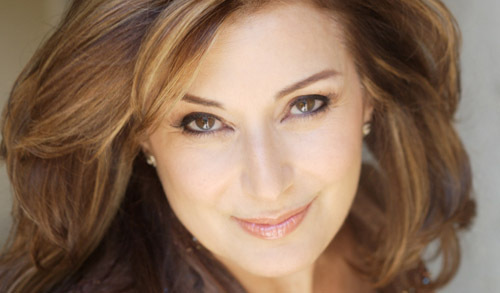 Tonight we're driving to L.A. for a concert with vocalist Denise Donatelli. She's just released a wonderful recording called "What Lies Within" produced by Geoffrey Keezer. She has a gorgeous voice and has selected some great tunes including some standards, Milton Nasciemento's "Cancao do Sal" and Joni Mitchell's "Be Cool". It'll be great music and I'm sure looking forward to this night of music. I'm flying to Chicago on Friday to play a hit with Dianne Reeves at Orchestra Hall. It'll be Dianne, Peter Martin on piano, Reuben Rodgers on bass, Gregory Hutchinson on drums and myself playing the guitar. This is one lone gig before we get ready in a couple of weeks to take on Europe for a month and a half. Big fun! From our last tour. 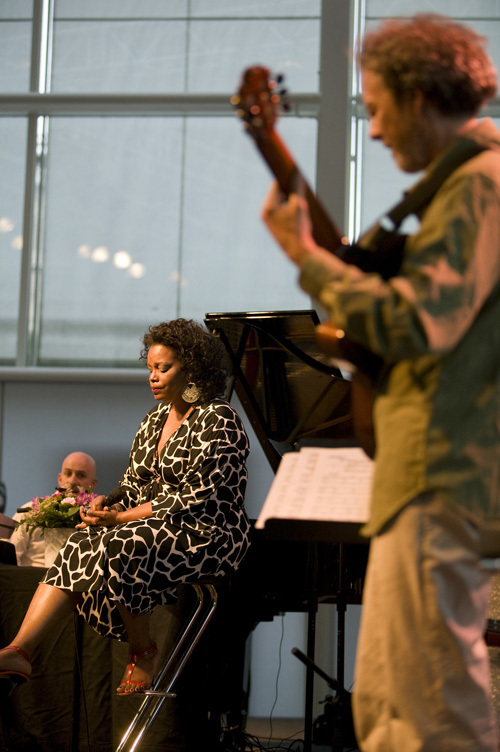 Dianne Reeves in Denmark with Peter Martin on the left, Dianne and me on the right. Coming up next week on Tuesday October 7 I'll be bringing my String Consort to the top rate Crill Performance Hall at the Point Loma Nazarene University in Point Loma. This is one of the nicest performance spaces around and I can't wait to hear the stringsters tear into "The Bombscare Blues" at the acoustically gifted Crill. Hope to see you there and check below for the fine print. Gregory Hutchinson  drums 8:30 PM I'm going to be touring with the amazing vocalist Dianne Reeves.